As the year that has seen mounting criticism of Google and its practices draws to a close, a company Senior VP has posted an essay on the Google blog on 'The Meaning of Open'. 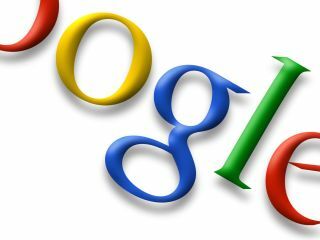 The 4,000 word piece by Jonathan Rosenberg, Senior Vice President for Product Management, was originally an email to all Google staff, but he decided that "in the spirit of openness, I thought it would be appropriate to share these thoughts with those outside of Google as well." Rosenberg writes that the company's "default approach" should be to "tell people, in obvious, plain language, what we know about them and why it's valuable to them that we know it. Think that your product's value is so obvious that it doesn't need explaining? There's a good chance you're wrong." He advocates adhering to standards for handling user data, and where there are no standards "we should work to create an open one that benefits the entire web, even if a closed standard appears to be better for us (remember: it's not!). In the meantime we need to do whatever we can to make leaving Google as easy as possible." "We believe that open is the only way for this to have the broadest impact for the most people. We are technology optimists who trust that the chaos of open benefits everyone. We will fight to promote it every chance we get." The question is, does Google, now a global powerhouse that apparently works around paying taxes still believe in that?